EMLab P&K’s MoldRange Local Climate reports have been described as a valuable tool by our clients over the years. As part of continuous improvement, we are happy to now provide an enhanced report, segmented by zip-code based climactic regions within Georgia and Virginia; providing more finely tuned data in regard to typical outdoor mold spore levels,’ said Dave Gallup, EMLab P&K’s General Manager and Co-Founder." EMLab P&K, a TestAmerica company and leading commercial indoor air quality (IAQ) laboratory in North America, has released an enhanced state-specific MoldRANGE™ Local Climate report for mold testing clients in Georgia and Virginia. Now EMLab P&K clients who perform mold sampling in these two states can receive additional insights for outdoor mold spore levels in the zip-code where the mold testing took place. “EMLab P&K’s MoldRange Local Climate reports have been described as a valuable tool by our clients over the years. As part of continuous improvement, we are happy to now provide an enhanced report, segmented by zip-code based climactic regions within Georgia and Virginia; providing more finely tuned data in regard to typical outdoor mold spore levels,” said Dave Gallup, EMLab P&K’s General Manager and Co-Founder. “This state-specific and zip-code based version of our patent-pending report is intended to help provide valuable information to those who conduct mold inspections, by giving a better understanding of the outdoor air. 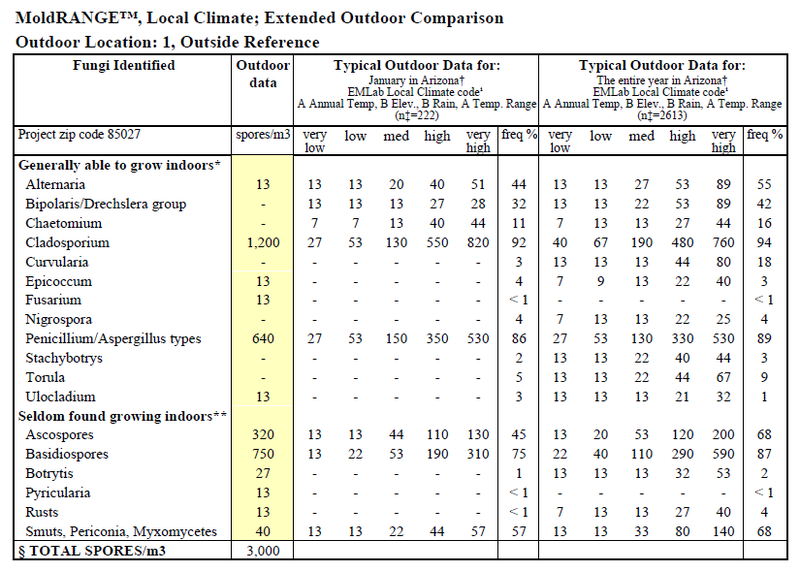 This can be particularly helpful when outside conditions may be atypical - such as when there is active rain, wind, snow cover or after a natural disaster"
EMLab P&K’s MoldRANGE™ report provides an unbiased, databased, fine-tuned perspective of mold spores that are typically found outdoors. Using information available from the National Oceanic and Atmospheric Administration (NOAA) weather database, the EMLab Climate code sharpens the precision of the MoldRANGE™ reporting system, providing more reliable estimates of the range and average concentrations of different airborne fungal spore types for each region. MoldRANGE™ can also help provide perspective when outside samples are problematic. To receive the enhanced report, clients need to include the location’s zip-code and an outside mold sample when submitting their projects. Mold samples can be sent to EMLab P&K’s Atlanta, GA or Fairfax, VA laboratories, or any other EMLab P&K location, found here. For more information about Georgia and Virginia’s lab testing services, please contact Lee Lindsay, Regional Account Manager, at (919) 805-4862.